Yes - that Eisenhower. If you use this time management approach, you'll be organizing your time using the approach that was advocated and practiced by the 34th President of the United States of America. 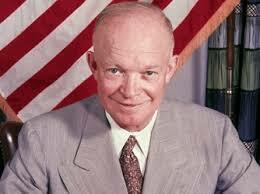 What is Eisenhower's Effective Time Management Model? Rank them by importance (outcome focus). If time and deadlines were not an issue, which items on your list would be the most important. Rank them by urgency (time focus). What is the absolute deadline, or latest possible date to tackle the list item? Deciding what to do should be easy at this point. Items in the top-right box are Urgent/Important. They are your priority items and you need to Do them now! Items in the top-left are Urgent but not very Important. If these are not fun, you may wish to decide not to do them at all. Otherwise you should look to Delegate them to others. For the bottom-right, the high importance, low urgency items, you can Decide when to do tackle them. Book time in your diary to get these done, but try not to leave them until they hit the 'Do' box! Finally items in the Low/Low category are those that you should be looking to delete altogether. The Time Management matrix is great for helping prioritize a personal task list, or a team task list. The key thing with the matrix is to recognize that you cannot do everything. Eisenhower's matrix is a useful tool to train yourself how to effectively prioritize and take control of your diary. It is an important discipline to master for anyone in the PMO.